Hello, hello, my summertime foodies! Lauren here from thoughtful entertaining site, LaurenKelp.com, and today we are talking about the most delicious summer salad to ever grace your grill. 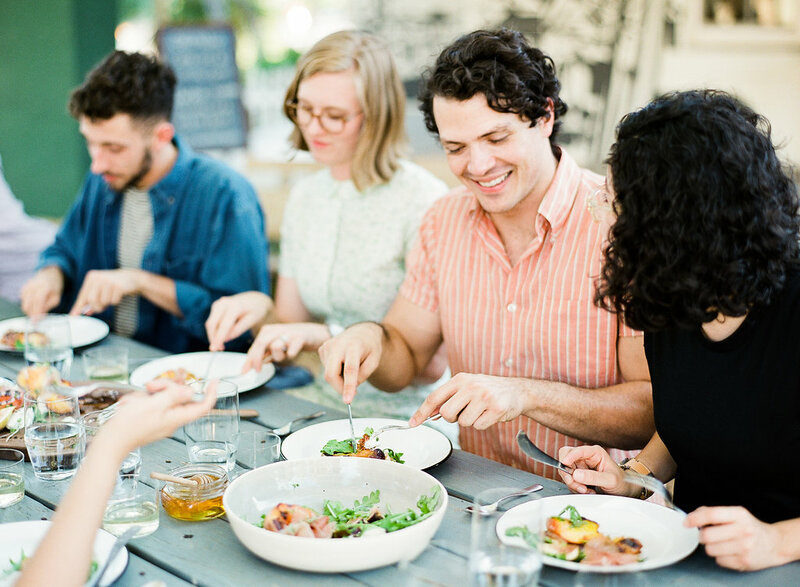 It’s got that summertime citrus we all crave, it’s hearty enough to satisfy even the most staunch salad nay sayers, and it’s just about the perfect dish for any occasion – specifically a backyard bash! 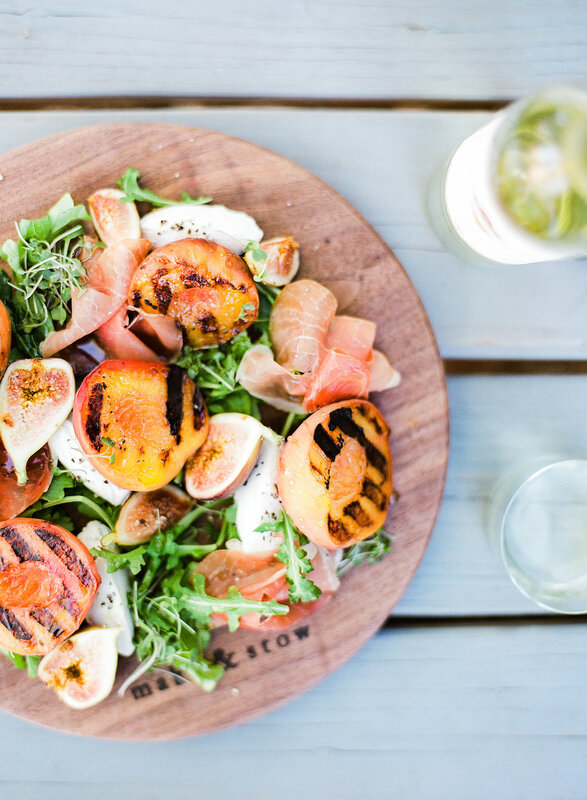 Meet your new favorite dish – the perfect grilled peach & prosciutto salad. And, yes, it does pair perfectly with a nice chilly bottle of Kendall-Jackson Vintner’s Reserve Sauvignon Blanc. So pop open a bottle, pour yourself a glass, and let’s get to grilling! 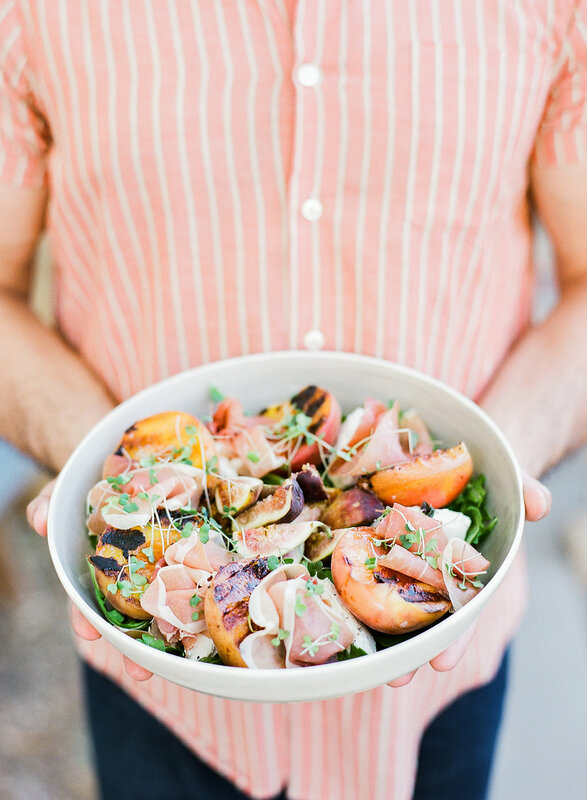 Before we get into the really fun stuff (food & wine, obviously) let’s talk about how this grilled peach and prosciutto salad is the perfect excuse to throw a backyard bash. I mean, look at it! It’s absolutely stunning. 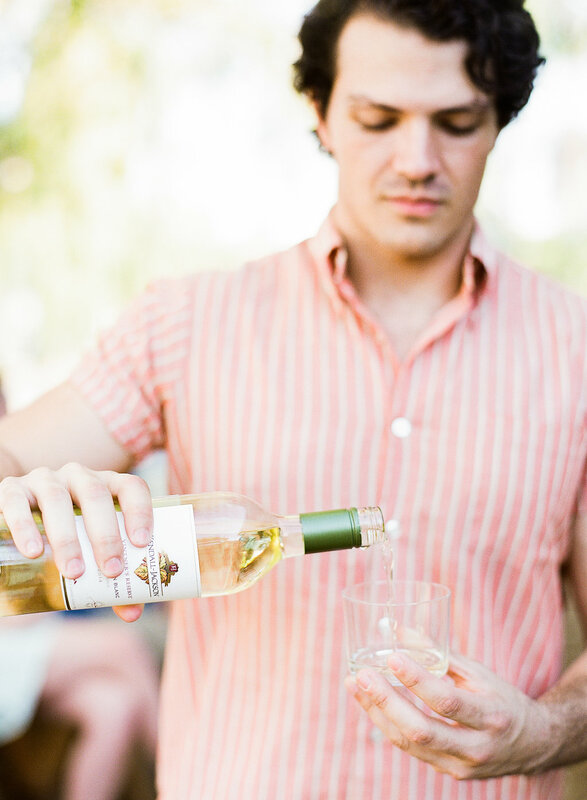 We are sharing our favorite ways to throw a low-key, no fuss backyard bash that is sure to be one for the books. Hop on over to LaurenKelp.com and get those entertaining juices going! Okay, okay, now for the main event – that gorgeous salad! While waiting for the grill to heat up, bring the vinegar to a boil in a small saucepan over medium heat. Once rolling, reduce heat to a simmer for about 2 minutes. Remove from heat and gently stir in the honey. Set aside to cool. Remove the pits from the peaches & place flesh side down on grill rack. Grill for about 30-seconds on each side. Remove & set aside. In a mixing bowl, combine a pinch of salt, pepper, and E.V.O.O. and whisk into a dressing. Add arugula to a large salad bowl & gently stir in dressing to coat thoroughly. Add in peach wedges (you can cut these into ½ inch slices if desired), thinly sliced prosciutto, figs, and sprinkle goat cheese and balsamic honey syrup on top. Serve with a perfectly chilled glass of Kendall-Jackson Sauvignon Blanc and enjoy! Well friends, what do you think? Scrumptious, right! Easier to make than you might have thought & so absolutely worth it. Sneak some peaches on the grill next time you have friends over & whip this puppy up and I promise it will be an absolute show stopper. Fire up the grill, call over the gang, and get to hosting!